The sound of solo steel pans playing during an outdoor wedding reception is simply irresistible! With a repertoire of well loved Caribbean, Calypso and Soca pieces, the steel drums is always a popular choice during the summer months. It takes years of practice to achieve the ability of playing two steel pans simultaneously. A skill very rare in UK with very few performers available for hire. 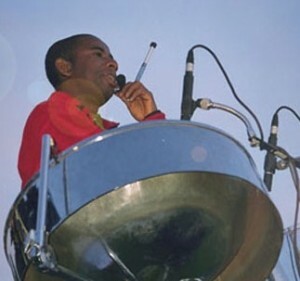 A Steel Band or Solo Pan Player is just perfect for a Caribbean themed event, where the drifting sounds of steel add the final touch to your special occasion.